BETTER THAN NEW! This is one of a kind, large ranch MODEL home with a PROFESSIONALLY finished walk-out basement. 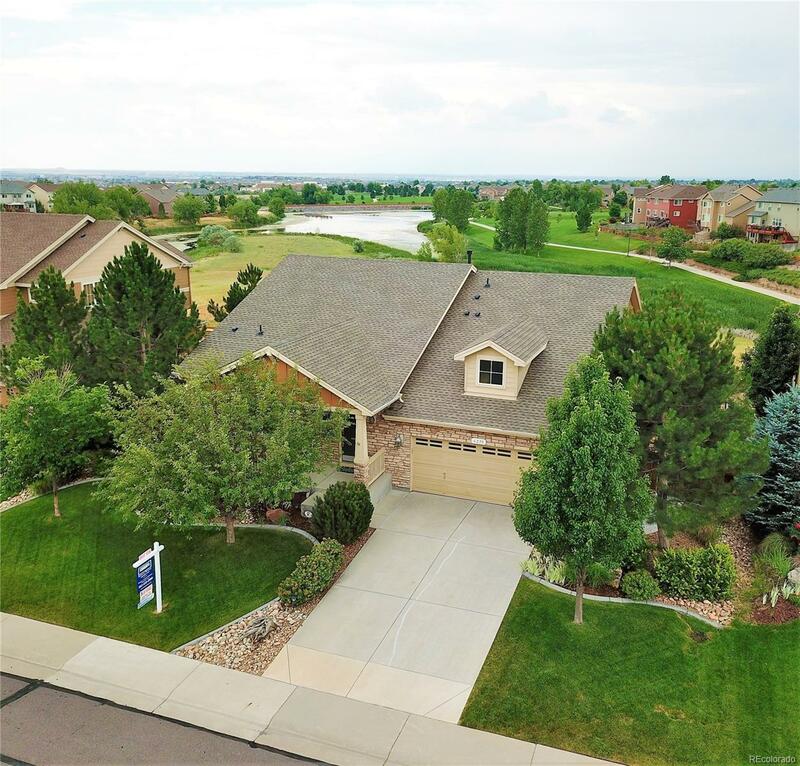 Views and open space abound with this beautiful home. This is a must see to believe! The setting is breathtaking w/Marshall Lake & open space behind this incredible home w/show-stopping upgrades & a stunning walk-out bsmt! Open concept living at its best w/a chef's kitchen, SS appliances, double ovens & large center island. The great room w/gas fireplace opens to the kitchen & breakfast nook. The luxurious master bedroom suite has vaulted ceilings, amazing lake views, 5 pc bath w/ custom tile, & walk-in closet. The finished bsmt boasts the same open concept as the main floor w/4 tray ceilings, another gas fireplace w/natural stone, family room, wet bar w/granite, designer backsplash, SS beverage fridge & ice maker, all w/priceless lake views! 2 more bdrms share a jack-n-jill bathroom w/heated floor! Surround sound on throughout You've got to see this one to believe it!